One of the best things about fall here in Alabama is wearing jackets. I love jackets! I feel more pulled together when I’ve got one on, plus, it hides the dreaded middle-age pooch that persists in hanging around no matter how many crunches I do or chocolate-covered creme-filled Krispy Kremes I give up. Since my usual cold-weather outfit is a simple and lazy turtleneck with jeans, jackets jazz things up and help me look less basic. Shop for great jacket deals in the early spring as retailers get rid of their winter stock. That’s how I got these three great finds. 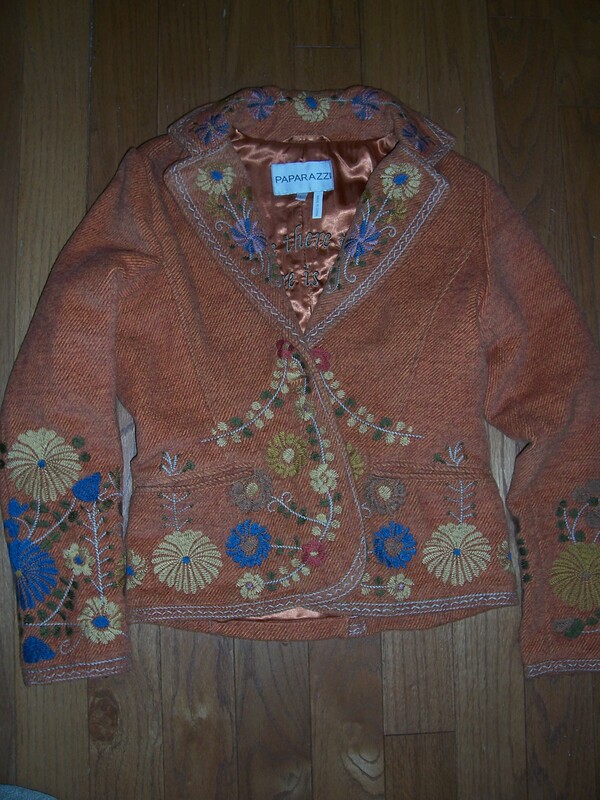 One of my favorites is the orange embroidered wool. As soon as the temperature gets down to the 50s and 60s, I pull it out. I wear it so much I’m sure everybody gets sick of seeing it. But I don’t care! I feel happy as soon as I put it on. I got it on sale at Audie Mescal women’s boutique in Tuscumbia, Alabama, two or three years ago. 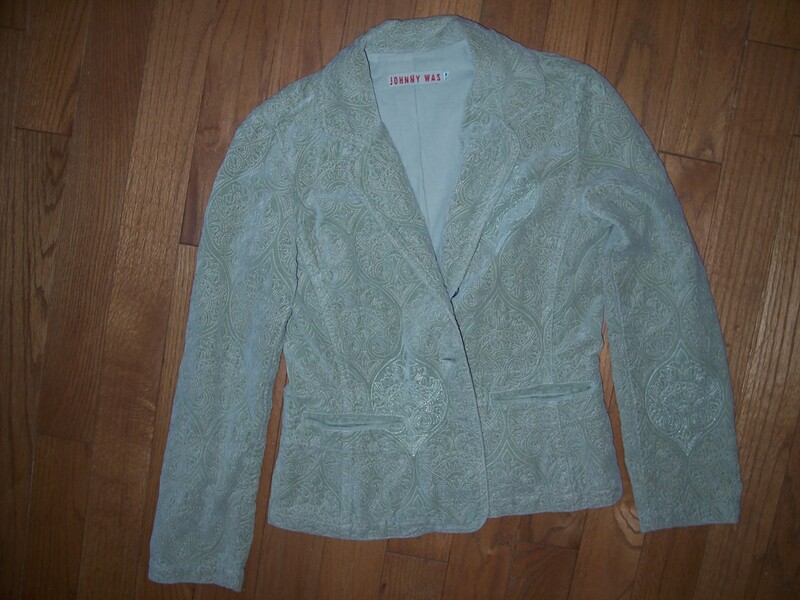 The soft green quilted jacket is a velour-like brushed cotton in such a pretty shade. It’s from a clearance rack at specialty store Marigail Mathis in Florence, Alabama (http://www.marigailmathis.com/). I also lucked up on a near-matching long-sleeved green T-shirt. 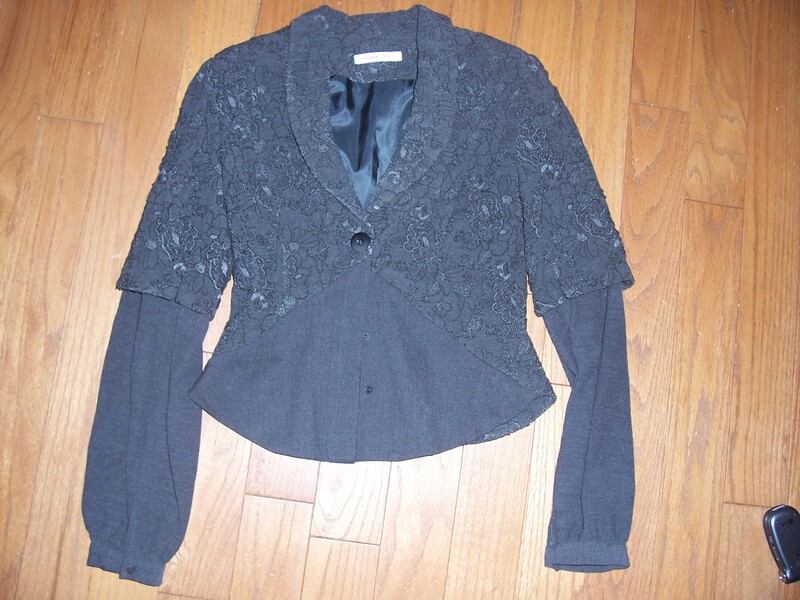 But the best buy is this fantastic gray jacket from Theodora women’s shop in Homewood (Birmingham), Alabama. I coveted it all season two years ago but could not pay the $300 or so price. I guess nobody else could, either, because I found it on the sale rack at such a discount that I bought it immediately before the store owner changed her mind. Score! This entry was posted in Alabama, fashion, Florence, shopping, Uncategorized and tagged Alabama, Birmingham, fall, fashion, Florence, Homewood, jackets, shopping, Tuscumbia by Coffee with Cathy. Bookmark the permalink.